Looking for an alternative to block paving or tarmac driveways in Tunbridge Wells? Look no further! 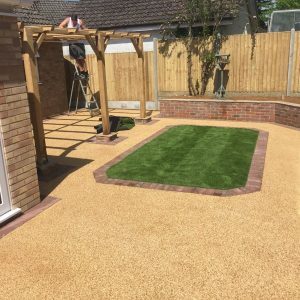 Our experienced Tunbridge Wells resin bound team at Broadoak Paving can design, manufacture and install a Tunbridge Wells Resin Bound Driveway using the highest quality UV-stable resins and a specialised blend of aggregates. 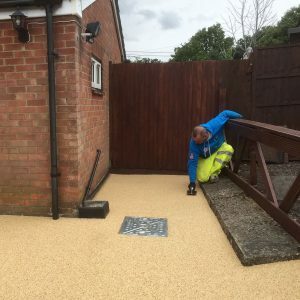 More and more Tunbridge Wells homeowners are taking advantage of the advanced properties of resin bound driveways, patios and paths. The results from this method are outstanding, with a beautiful, even finish and long-lasting durability. Such qualities can only be achieved with a Broadoak Paving Tunbridge Wells resin bound driveway. Get a free Tunbridge Wells Resin Bound Driveway quote - 0800 046 3380. A Resin Bound Driveway is created from mix of naturally sourced aggregate and a strong, durable UV-stable resin. The stones and resin are pre-mixed, with the resulting compound poured and hand trowelled onto the Tunbridge Wells driveway to create an attractive, seamless, smooth finish. Our naturally sourced stones are a mixture of aggregates including gravel, shingle, quartz and crushed granite. The selection of stones can be angular or smooth depending on customer preference and come in a variety of sizes, from 1mm to 5mm pieces. There is also an array of colours to choose from, either a single colour or a blend of complementary shades. 'Resin Bound' Driveways or 'Resin Bonded' Driveways? Although they sound very similar in name, there are some crucial differences. With this technique the resin and aggregate are mixed prior to application. The mixture is laid evenly and dries to a very solid and highly uniform finish and texture. There is with the added advantage of the drive remaining completely permeable, making it safer and longer lasting. With this approach resin is applied over the driveway, followed by aggregate pressed into the upper surface. This can often lead to loose chippings and an uneven finish. There is the further disadvantage that water will no longer permeate the drive, leading to pooling on the surface. 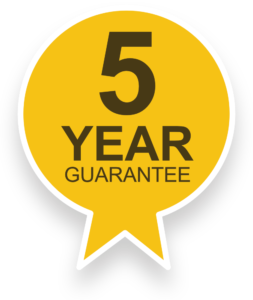 At Broadoak Paving Ltd we consider the 'Resin Bonded' approach to be inferior, so we only offer our customers superior Resin Bound Driveways in Tunbridge Wells. Talk to our Resin Bound Driveway Tunbridge Wells experts - 0800 046 3380. 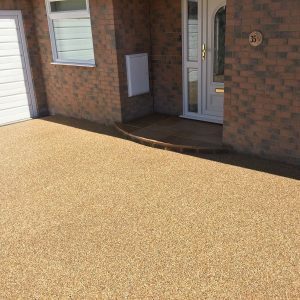 The advantages of resin bound driveways in Tunbridge Wells? 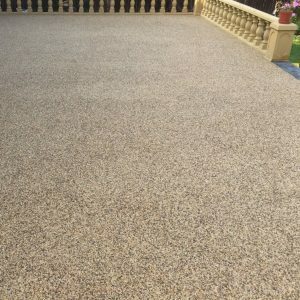 A resin bound surface is most commonly used for driveways, car parks, pathways, terraces, courtyards and swimming pool surrounds. Stunning effects can be achieved because of the flexibility of a Tunbridge Wells resin bound surface and the endless possibilities allowed by the colour combinations. Our Tunbridge Wells resin bound driveways are expertly designed, installed and finished by hand. Why choose Broadoak Paving for your Tunbridge Wells Resin Bound Driveways? 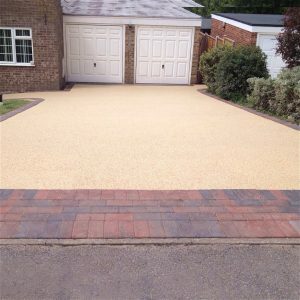 Our Tunbridge Wells resin bound driveways are a modern, functional and hard-wearing addition to your home. Broadoak Paving ensures all resin bound driveways in Tunbridge Wells are installed with care and precision to get a perfect finish you'll be proud to have on your property. Broadoak Paving is rated 4.8 out of 5. Based on 21 Trustatrader Reviews. © Copyright Broadoak Paving Ltd. All rights reserved.